obsession sessions with Ghada Wali. Monday. This week your dose of inspiration is provided courtesy of Ghada Wali. I first met this talented young Graphic Designer two summers ago at the far eastern tip of the Sinai pennisula in the Egyptian coastal resort of Taba. We were both camping on the beach with a bunch of friends and her vibrant personality stood out right away. As I got to know her better, it was such a welcome to surprise to discover the sheer amount of talent she possesses. 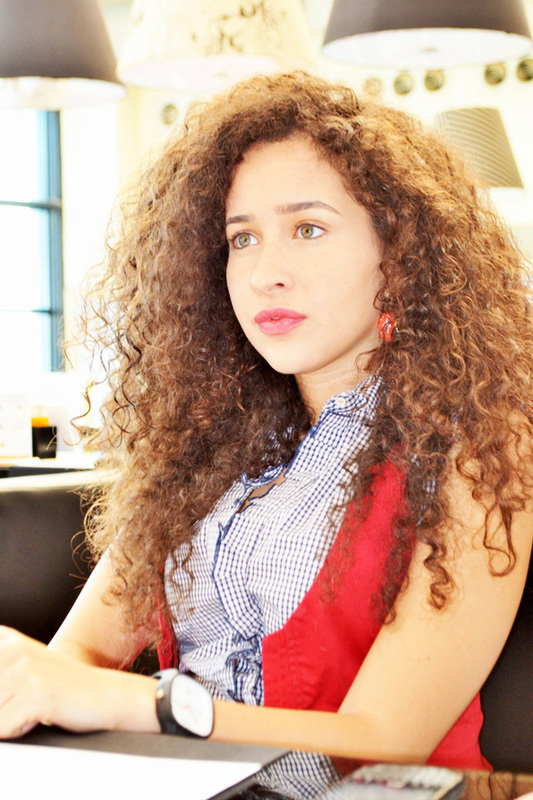 In her own words, Ghada is a Cairo based self-employed graphic designer/illustrator, specialized in branding. Her aim is simple, to produce local flavored work that meets a global taste and understanding how to produce new, original, meaningful, functional, emotional conceptual design solutions, she is also interested in recyclable & editorial design. Her dream is to actually add something to the world, inspire somebody, change a wrong idea/perception, try to fix a problem or simply enhance someone’s life. It’s through my work that I always seek some kind of greater meaning and sense of purpose towards the planet which she always feel responsible towards. G: My post-revolution premaster project was a social awareness poster design editorial campaign with the purpose to re-correct misleading egyptian/religious and social misconceptions. It was an initiative to reconsider or breakdown some of the corrupt egyptian cultural system which is just as critical & influential as the political one. Dealing with mis-conceptions such as stereotyping/labeling, generalization and racism in order to promote social acceptance, diversity and enhance human awareness. Unfortunately, these misconceptions have nothing to do with education/social class, instead, it has been shaped over the years by the way we were raised, surrounded by these misleading thoughts. Thus the target group should definitely cover most ages and social classes of the egyptian population. Complex enough to be appreciated by high class civilians yet simple enough to cope with lower il-literal target segments. The project is called “meen homa?” or in english “Who are they?”. To see the project, click here. G: I would have been a musician, specifically a drummer. Or maybe a doctor!! G: Everybody, Everything, Everywhere. I believe that inspiration has no distinctive specifications, it’s generated from absolute infinite and unpredictable sources. Inspiration can be extreme, complex or simply quite stupid. G: This is one of a series of 9 poster campaign of the circus characters. The illustrative-hand crafted-customized poster represents an artistic yet kitschy feeling and plays homage to Egyptian street style. Egyptian culture heavily involves humor, jokes, tricks and playfulness in the daily lives of Egyptians. 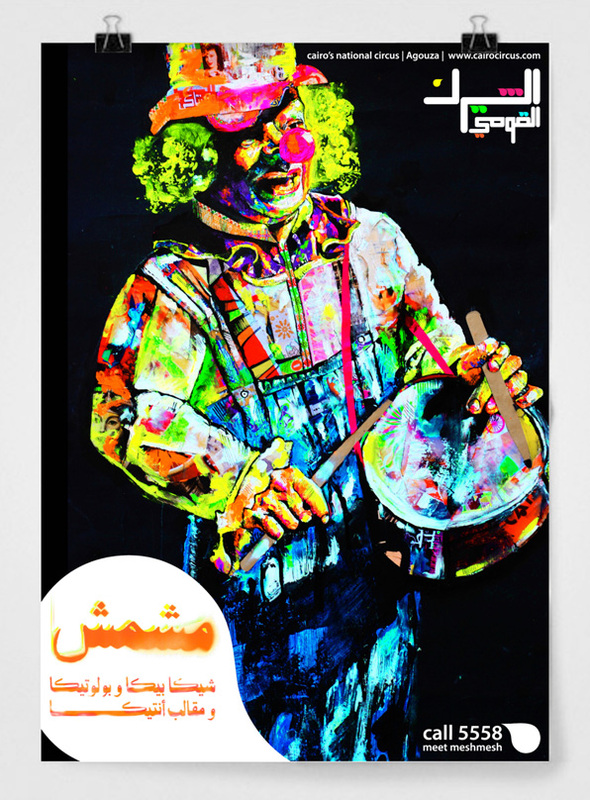 This poster is an attempt for the Egyptian circus, which is a pure representation of those common Egyptian traits, with aim of shedding spotlight on them in the Egyptian community and to elevate those qualities to the status that they deserve, transforming them -and the circus in turn- to a trademark and a cultural/touristic spot. Proving that the circus life goes far beyond the physical entertainment world to a far deeper outlet for the symbolism of social, political, and economical matters. In working on this poster, I explored examining the psychology of each the performers and audience in that special field that’s all based on entertainment, amusement and performance arts. Trying to translate that and point out the connection between graphic design and circus/performing arts – as this subject have not yet been tackled from that point of view in this country yet- was my source of motivation. Through this journey, my research aimed at finding out the answers to the following questions: How can the Graphic Design of the Egyptian circus poster influence the perception of the brand (national circus) and attract a higher social class? What factors should be taken in to consideration when developing a customized design for a circus keeping in mind the special needs of a city like Cairo? Can a compromise of the equation between a local and global design be achieved? and How? What is the role of graphic design in recording circus arts, and their interrelation? In order to acquire a clear vision and build up a conceptual design, it was a must to get deeper into circus life, examining every detail, exploring this world of mystery, trying to find a true understanding of its genuine identity and constructing a bigger image. The Egyptian national circus brand attempts to highlight and even magnify these ‘perceived’ weaknesses; the kitschy/over-rated, culture and turn them into strengths or even points of beauty. It aims to alter the perception -especially those of the higher target group- motivating them to take pride in such a culture, admire it and even aspire belong to this new identity. Unlike a lot of what is common in Egyptian media, Egyptians are not being portrayed as the ‘glorious’ pharaohs from million of years, nor there is reference to any historical touristic sights, Arabic calligraphy or famous Egyptian topics that are quite overrated. This represents a new way to showcase contemporary -not ancient Egyptian- Art. Celebrating the real modern day Cairo means celebrating the circus.